Objective: Doubling the farmers income by 2022 through awareness programme on " New India Manthan : Sankalp Se Siddhi " programme 2017-2022. 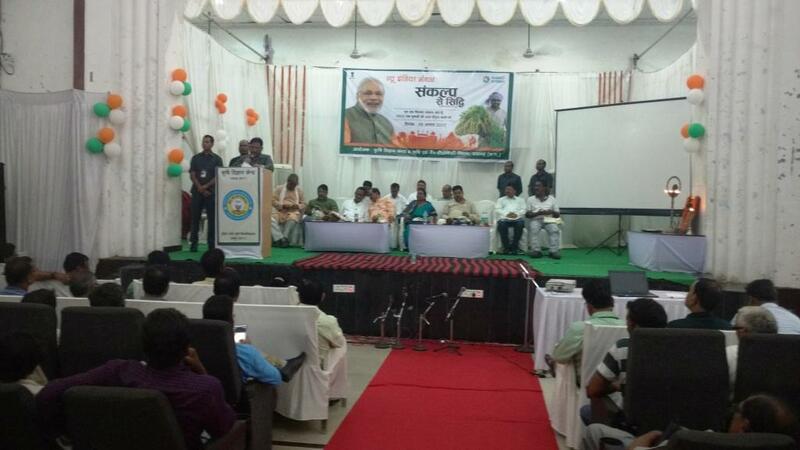 Krishi vigyan kendra Raigarh of chhattisgarh state and Krishi Vibhag Raigarh jointly organised the programme "Sankalp Se Siddhi" programme at Krishi Vigyan Kendra Raigarh (C.G.) on 25/08/2017. Hon'ble Minister of State for Steel & Mines Govt. 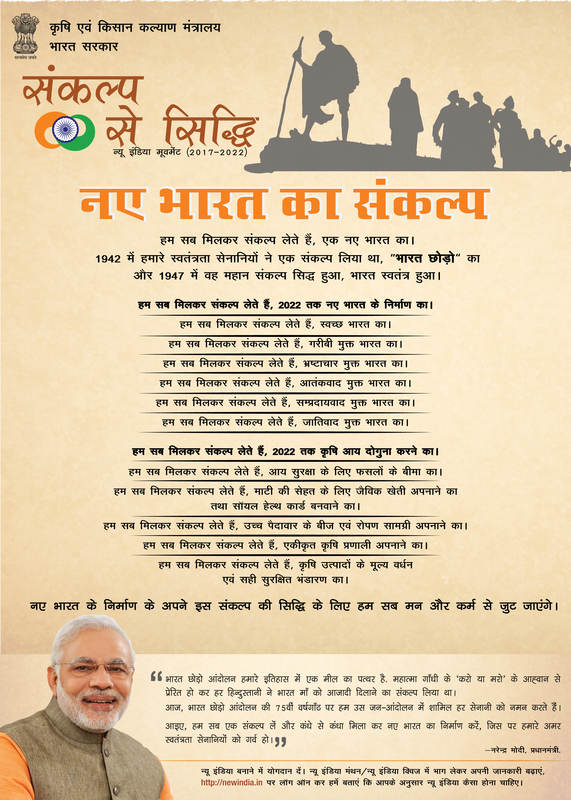 of india Shri. vishnu Dev sai graced the ocassion along with other dignetries of the district, about 746 farmer's participated in programme also a participation of arround 64 district officials are taken the pledge during the " Sankalp Se Siddhi" programme. 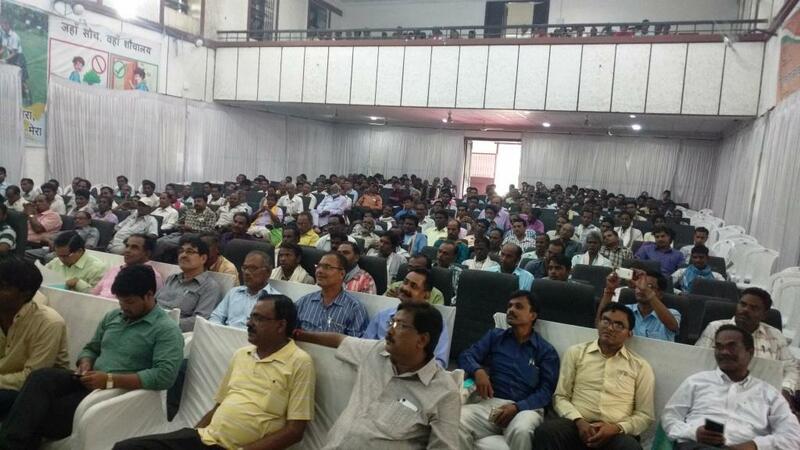 Senior Scientist & Head along with Scientist of Krishi Vigyan Kendra, Raigarh & Officials of krishi Vibhag Raigarh hosted the programme. Image: Doubling the farmers income by 2022 through awareness programme on " New India Manthan : Sankalp Se Siddhi " programme 2017-2022.